Although user experience design (UX) is an emerging field with a lot specializations, and new ones that seem to crop up every day, there are some basic UX techniques that everyone who owns a business should know. I’ve also met a lot of entrepreneurs over the years who have asked me: what are the must-have UX techniques I need to know? Look no further. Writes Guiseppe Getto, Ph.D., a professor based in North Carolina who does freelance writing, UX consulting, and builds custom WordPress websites at GuiseppeGetto.com. This post was written by a guest wrier, opinions his/her own. Why you need to get serious about the user experience of your website? Good UX is essential for every entrepreneur looking to maintain a digital presence. Whether you have a simple website that advertises your business’s hours, locations, and products, or a full-blown e-commerce site, your visitors need to be engaged, impressed, and contented with the experience they have there. 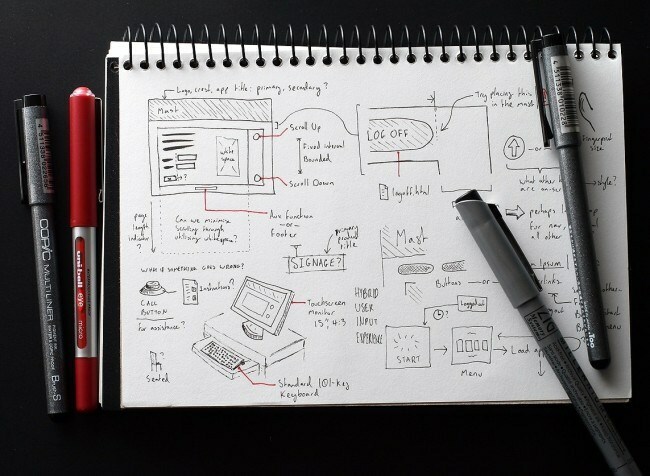 Use these 10 UX techniques to take your UX to the next level. Break your customer base down into demographics (e.g. age, gender, ethnicity, location, how good they are with technology, etc.). For each major demographic you want to reach, recruit at least three test users. These can be anyone you know who meets this demographic: colleagues, friends, even relatives. Design a series of tasks that customers need to be able to accomplish when interacting with your website. Write these tasks out as simple, one-sentence commands like “sign up for my newsletter,” “find a product you’d be interested in purchasing from me,” and “add a product to your shopping cart.” Try to test for no more than 7-10 tasks per test. Lead each test user through your tasks and take notes on how well they are able to complete these tasks, including if they are unable to complete any tasks. This works even better if you can record everything they do on your website through a screen recording application like Camtasia. That way you can go back to the actual footage if you can’t remember what a particular user did. Ask questions to gather more user experience feedback. At the end of each task, ask them what they thought about the task if they don’t talk out loud automatically. Rank the tasks from most difficult to least difficult, based on what you observed. Also pay attention to any patterns you observed, such as users consistently looking in particular location to find something, users expecting something that they weren’t able to find, users struggling with a particular type of icon, link, or button, etc. Try to optimize your website for the most difficult tasks by making them easier for the types of users they were hardest for. You might find that your older customers struggle with emerging technologies like sharing a product review to social media, for example. Or that younger customers get bored with the amount of text on your site. A great resource for conducting usability tests is this 1-page usability test plan. One of the best things you can do to make sure your website performs well is to keep an eye on the competition. Your goal should be to locate other organizations that are successful, that have great websites, and that are like your organization. Then take notes on what you link about their websites and try to imitate what you like. It’s that simple! This can be tricky, though, so don’t set yourself up for failure. Make sure that the websites you’re comparing yourself to are actually competitors. If you’re a small business, don’t compare yourself to Amazon, because you just don’t have the resources they do. If you sell vacuum cleaners through your website, don’t compare yourself to a technology company. In the age of the smartphone, you could be losing serious revenue if your website doesn’t perform well on mobile devices. An increasing amount of users across all demographics are browsing the internet on mobile and making purchases on their smartphones and tablets. If your budget is tight, use an application like WordPress that is built to automatically scale to pretty much any device. The best way to see whether or not your website is responsive, however, is to pull out your smartphone and load it up. Pay attention to all elements of it. Are links hard to click because they’re too small? Can you easily read your content? Do images look fuzzy or distorted? You can also use Google’s Mobile Friendly Test check any webpage on the web for mobility. In the current version of Google Webmasters, if you submit your website’s URL, Google will automatically check your site for mobile best practices and will inform you of anything you’re doing that violates these. I’ve worked with a lot of clients over the years who create great websites that are just too busy and cluttered with excessive information. Research has shown that users have “tunnel vision” when browsing online. They see what they’re looking for, or they don’t, within less than a minute. If it’s a site they’re unfamiliar with or found through a search engine, they may even spend only a few seconds. Within that time frame, you need to think very carefully: what are the first things your website visitors will see? Signing up for newsletters or other forms of future interactions. Finding important pieces of information. Images are also great, but shouldn’t overpower your copy or your buttons. Buttons are one of the most important elements of your website. If you’re selling products through your website, you need an “add to cart” or “buy” button on your homepage. Visitors should know, in their first encounter with your site, what you’re selling and how they can purchase it. At the same time, you want to provide incentives for your current customers to remain your customers and purchase more. The most powerful tool for retaining customers is email marketing. Every purchase, login, and signup on your site should ask customers for their emails. This is expected by anyone who is shopping online. At the same time, you should always give customers the ability to opt out of future communications with you, both when they sign up for an account and when you contact them in the future. Once you have a database of customer emails, you can send them offers, promotions, and other updates you think they may be interested in, based on their shopping history. These should be short, concise emails that are as personalized as you can manage, that offer existing customers a clear value proposition for returning to your website, and that give them some kind of bonus from purchasing from you in the past, such as exclusive access to a sale or discount. Another core technique is reaching out to your customers on at least a quarterly basis to get feedback on how you’re doing as a business owner. I like to use brief, anonymous surveys that include an optional question at the end where customers can include their email for a short follow-up interview. You need to use an incentive for this, such as entering them in a drawing for a gift card. Interviews with customers are very valuable. Another innovative way to interact with your customers is to form a customer council. A customer council is a group of customers who volunteer to help you improve experiences your customers have. Why would customers do this, you may ask? These are typically your brand loyalists. They care about your business, they’ve been repeat customers, and they have feedback they want to share with you. A list of clear goals for content development and governance. A content calendar or long-term plan for developing new content for your website. A list of content repositories or places within your organization or online where content can be mined for use on your website. A schedule for conducting content audits, or complete inventories of the status and effectiveness of all content contained within your website. When in doubt, be concise. Customers don’t want to read any more text than they need to. Be engaging, but not flowery. Avoid too many adverbs or adjectives. Use good, solid nouns and verbs. Include value propositions whenever you can. Customers want to know why they should engage with your site. Show more, tell less. A great photograph of your product literally is worth 1,000 words. As you can see, there are lots of things to keep in mind when building and maintaining a great website. It also goes without saying that entrepreneurs are busy people who can’t do everything themselves. If you need help, look for local experienced UX consultants you know and trust who can work with you in an affordable manner on an ad-hoc basis. It’s more than okay to get help with aspects of UX that you’re struggling with. It’s good to get a second pair of eyes to review your site, gather user data, and conduct a series of experiments to gather user feedback. You wouldn’t leave other elements of your business, such as your marketing, sales, personnel, or shipping, to chance. Don’t skimp on UX or you will pay the price in unhappy customers and lost revenue. What are your most common UX challenges? Looking for more UX and digital marketing tips? Visit Guiseppe’s UX and Content Strategy Library. Are you an entrepreneur looking for help with UX? Get in touch with Guiseppe here. Great post Guiseppe, I like all the UX techniques you mentioned. I would also add one other technique to the list: High Value Asset Scoring. More often than not, websites have various HVAs (high value assets), such as contact forms, sales, leads, downloads, and the list goes on. HVA scoring is about assigning a score from 1-10 to each conversion asset on the site, so that it’s easier to prioritize what goes on the top of the blogroll and into the header vs footer. As you mentioned, space is limited, and attention span is short. So when it comes to conversion optimization smart UX helps prioritize conversion assets based on ROI and aligned with user journey. Thanks again for sharing awesome insights! Yes, HVAS is a great tool, and can be used as part of a content audit to really hone-in on your most important content assets. Great tip!